Throughout 2018, immigration law and border enforcement have made front page headlines, most of which focused on immigration across the Mexican border and family separations in detainment centers for undocumented immigrants. A much lesser-known immigration program, the “Immigrant Investor Program,” also known as the EB-5 program, has made far fewer headlines despite a marked increase in fraud claims. The EB-5 Immigrant Investor Program allows wealthy foreign investors to essentially “buy” permanent resident legal resident status in the United States by investing in job-creating enterprises here. Specifically, foreign citizens may become permanent lawful residents by directly investing $500,000 into a commercial enterprise in a high unemployment area, so long as the investment creates at least ten full-time jobs. The investor is eligible to apply for conditional lawful permanent residency, with the opportunity to have the conditions removed after two years if the job creation requirements have been met. Foreign investors, however, are not guaranteed a visa or to become lawful permanent residents of the United States. This week, this blog space will highlight some specific lawsuits involving EB-5 investment fraud and review some steps prospective investors can take to avoid becoming a victim of EB-5 fraud. 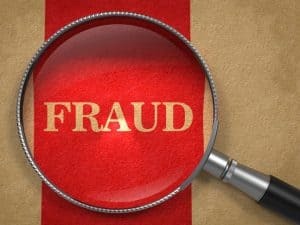 If you or someone you know lost money as a result of EB-5 Immigrant Investor Program fraud, please call the Frankowski Firm at 888.741.7503 or fill out this contact form.